Adina from Blue Collar Red Lipstick recently recommended the blog, The Fashion Law, which I had heard about, but never read in earnest. A big thank you to Adina for pointing me back to it, as it's fantastic (and educational) reading and I'd never have discovered that without the recommendation. Their coverage is broad, and though most topics relevant to fashion, marketing, and the law are not within my professional wheelhouse (I've done the smallest bit of false advertising work for another industry), it's fascinating to learn about. 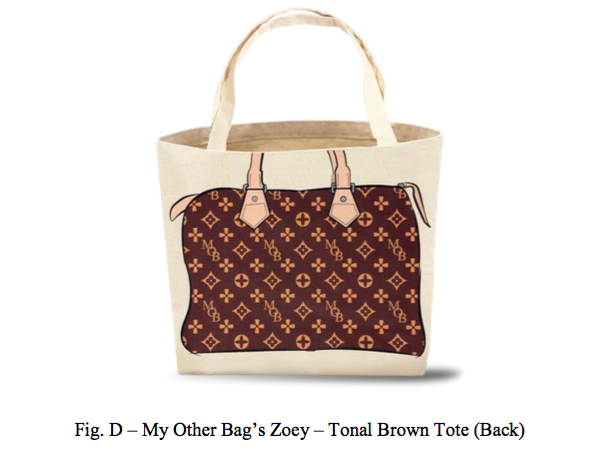 A few The Fashion Law articles I enjoyed from my recent browsing: First, there's this recounting of the Second Circuit oral argument in the case between Louis Vuitton and the parody-bag purveyors My Other Bag over trademark issues. As Judge Lynch apparently stated, "This is a joke. I understand you don’t get the joke. But it’s a joke." Second, this isn't as recent, but some of you may remember when Lord & Taylor arranged for the carpet bombing of social media with undisclosed sponsored posts about their Design Lab collection and that one paisley printed dress. The Federal Trade Commission ("FTC") did not enjoy that, and the whole event resulted in a settlement for an undisclosed amount for the lack of clear disclosure. The Fashion Law does a lot of coverage of the social media influencer scene and the related disclosure rules and practices (i.e. here), which I find particularly interesting. Merry Christmas and Happy Holidays! I'm home in California for the week and really appreciating having the holiday off to spend with my family. Hopefully, I'll go back to work refreshed and reenergized afterwards. Over the next few weeks, I'll be doing a lot of end-of-year reflection and roundup-type posts as I think about my budget and other plans for the coming new year.